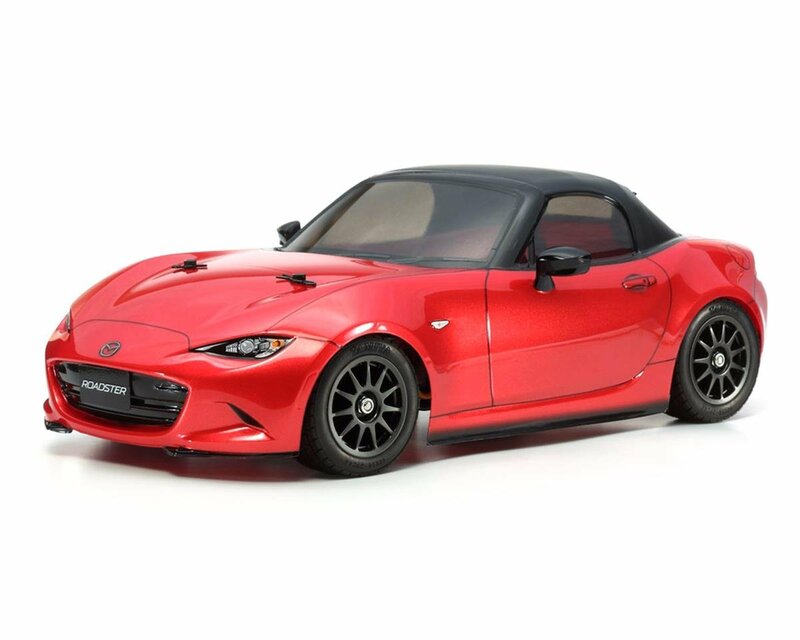 The Tamiya Mazda MX-5 M-05 M-Chassis On Road Kit is a miniaturized replica of the 4th generation Mazda MX-5 (also known as the Roadster in Japan and the Miata MX-5 in the U.S.). This iconic platform enjoys a heritage dating back to 1989 and total sales in excess of 950,000 units. 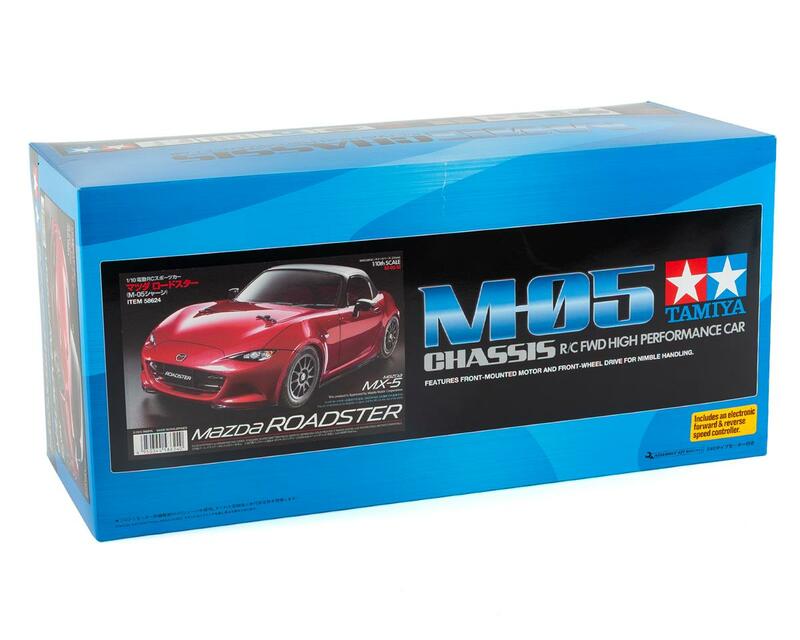 The dynamic and lightweight car was made to amplify the thrill of driving, with a punchy 1.5-liter (2.0-liter in North American market cars) inline 4-engine and 6-speed transmission, while including modern must-haves such as advanced safety equipment. 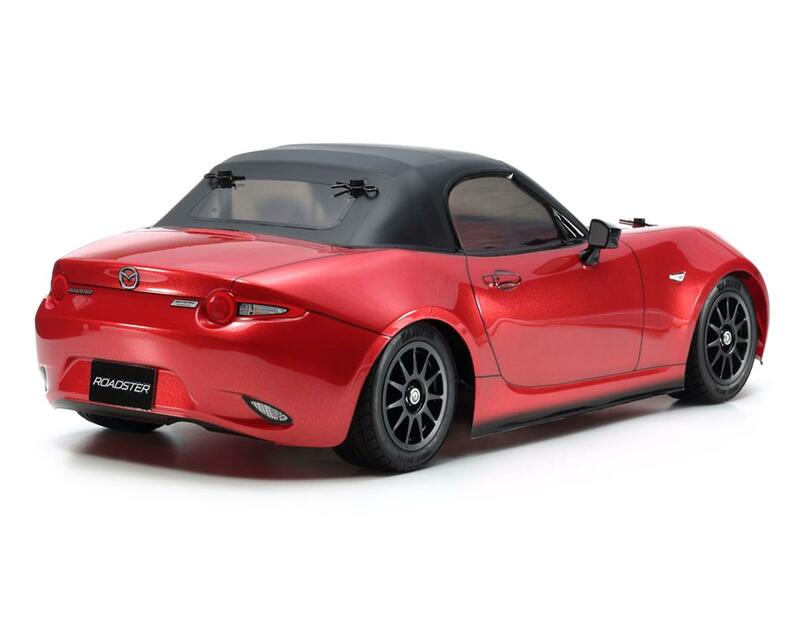 The dynamic and compact form of the closed-top MX-5 is accurately recreated in durable polycarbonate. Separate plastic parts are included to recreate side mirrors. Comes with stickers to recreate Japanese, U.S. and rest-of-the-world market cars. The nimble front wheel-drive M-05 chassis features a 225mm (M) wheelbase and has a wide range of option parts available to customize it. Includes TBLE-02 ESC and brushed motor.